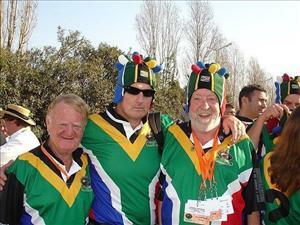 Stud Rugby supplied The UCT Alzeimers Rugby Football Club with an SA Flag Custom shirt. UCT Alzeimers is the vintage rugby team of UCT Rugby. Made up of post UCT rugby players the team participates in the Vintage Rugby Carnival held every alternate year.